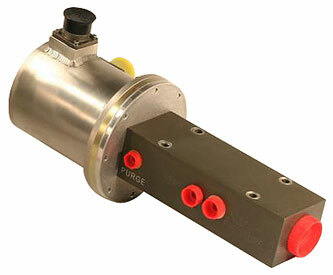 Using technology developed for use on NASA’s successful X-43A Hypersonic Research Vehicle (Hyper-X) was adapted and commercialized through this technology into a high-precision metering valve for industrial fuel control applications. Pintle Metering Valves and electronic controller offers a solution to a wide variety of hazardous and corrosive fluid control applications. If you’d like to view JASC’s Pintle Metering Valve technical drawings, you can request them here.